42nd (Royal Highlanders of Canada) Canadian Infantry Bn, 7th Brigade, 3rd Canadian Division, C.E.F. Nature of Death: Died 15/8/16 of wounds (received 9/8/16) at Boulogne, France. 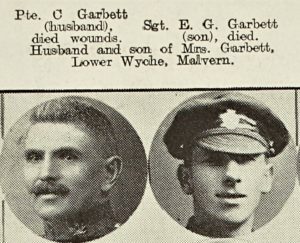 Next of Kin: Husband of Mrs Alice Garbett of 5 Paling Cottages, Lower Wyche. 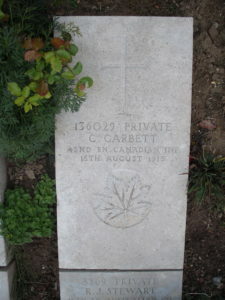 Charles Garbett, born on the 4th September 1873 at Droitwich was a dyer by trade. He worked for some years as a porter at the Tudor Hotel, Malvern; but emigrated to Canada sometime before the war and enlisted in the Canadian Forces on the 24th July 1915 at Toronto. Despite his son Ernest having also moved to Toronto (and enlisting in April 1915), his wife Alice was still living in Malvern, at 5 Paling Cottages, Lower Wyche. 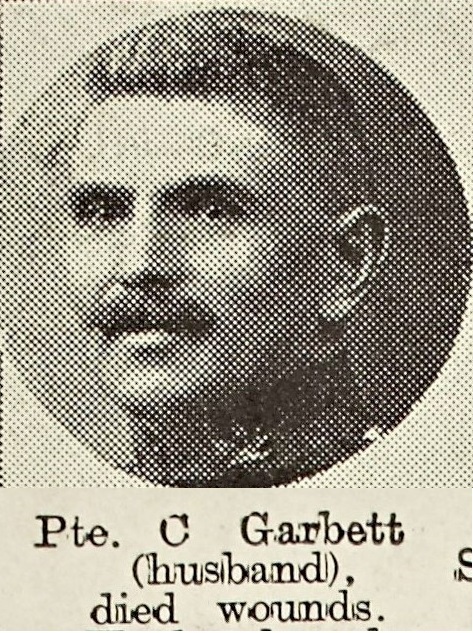 Charles Garbett joined ‘D’ Company of the 74th Overseas Battalion of the Canadian Expeditionary Force and sailed for France on the Empress of India in March 1916. The voyage to Liverpool took eleven days but it was another two months before he landed at France, being transferred to the 42nd Canadian Infantry Battalion. He arrived for duty on the 11th June 1916, and less than two months later on the 9th August, received gunshot wounds to the head and left leg. Despite being admitted to the 13th General Hospital at Boulogne he died of his wounds on the 15th August. Charles’s death was reported in the Malvern News on the 2nd September – he left two sons, William and Ernest and two daughters, Ida and Norah. 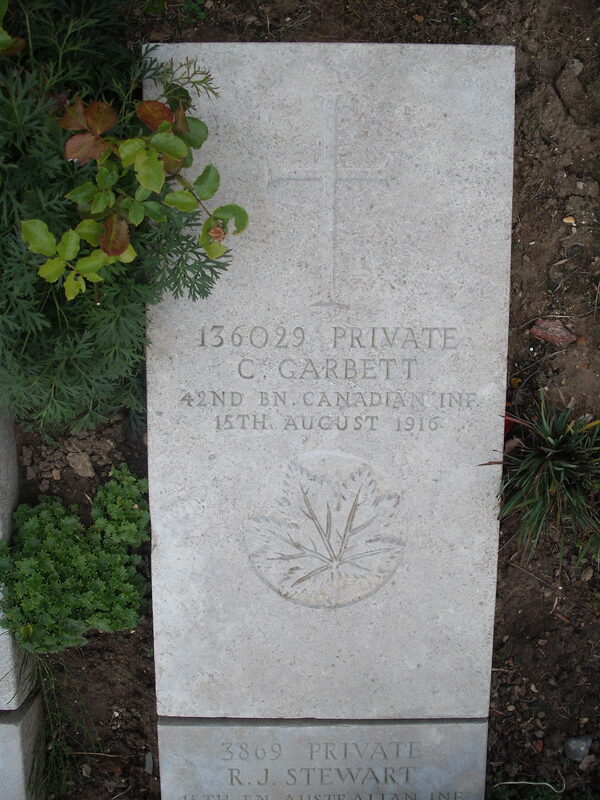 Ernest George also lost his life with the Canadian Forces – he died of septicaemia on the 13th July 1917. 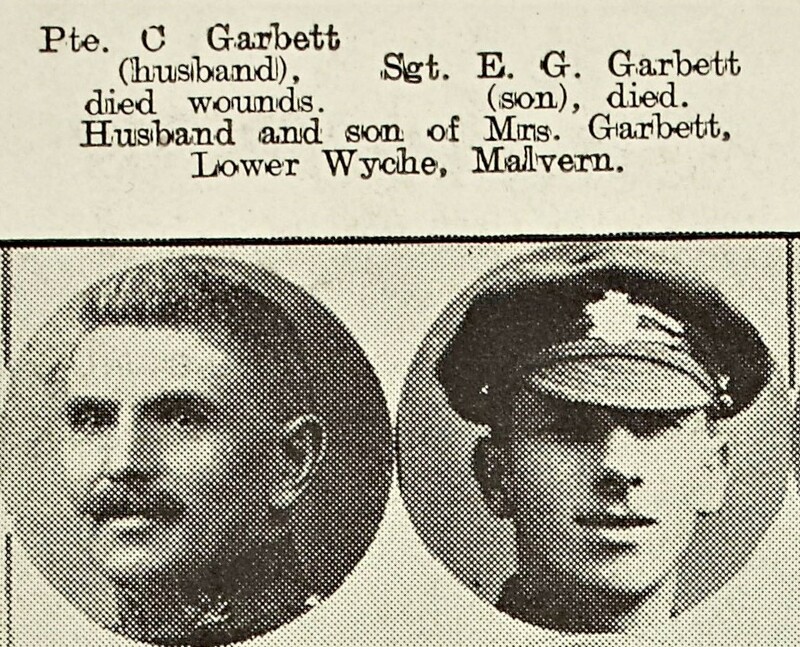 Father and son, Charles and Ernest Garbett who gave their lives for their country.